I have a last minute recipe for you for Christmas! It is easy to make and very delicious! chopped peppermint Candy cane for garnish. 2. 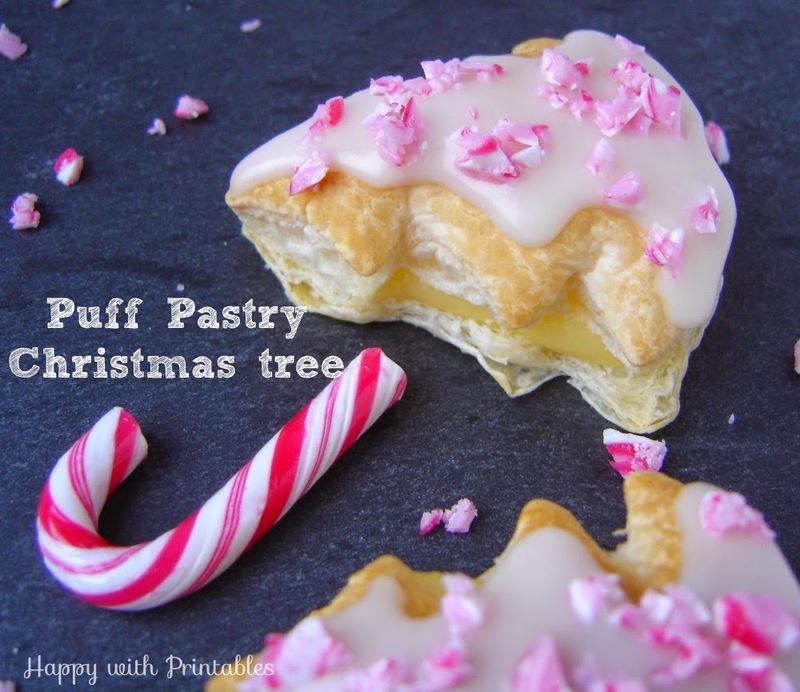 Take the sheet of Puff Pastry and with the cookie cutter as many Christmas trees as possible. 3. Bake the trees for 10 minutes untill puffed and slighty brown. 5. Cut the trees carefully in 2 layers. 6. Fill the underlayer with custard cream and assemble with upperlayer. 7. In a bowl, mix together the powdered sugar with the orange juice. 8. Put the glaze on the trees. And sprinkle directly with chopped candy cane. They look very festive and light as a feather!